Decoding your sleep disturbances is a challenge for medical doctors. Insomnia is a symptom unto itself, therefore it’s difficult to measure medically. Symptoms of insomnia are just that – they are based on your subjective feedback about how you feel. “I am constantly tired,” “I can’t keep my mind on my work,” and “I could easily fall asleep in a restaurant” are excellent indicators for your physician, but you might be able to see how they hardly provide a clear-cut diagnosis. Given the fact, too that insomnia can be an indicator of other medical and psychological conditions, the hashing out of symptoms is even more critical. A diagnostic tool many doctors use is a sleep questionnaire. Why a simple questionnaire? The questionnaire is used in concert with your medical history and other current medical information. But remember, if your physician is looking for symptoms and subjective feedback on your sleep disturbance then a list of questions designed to elicit particular information from you is appropriate. When did you notice a problem with your sleep patterns? 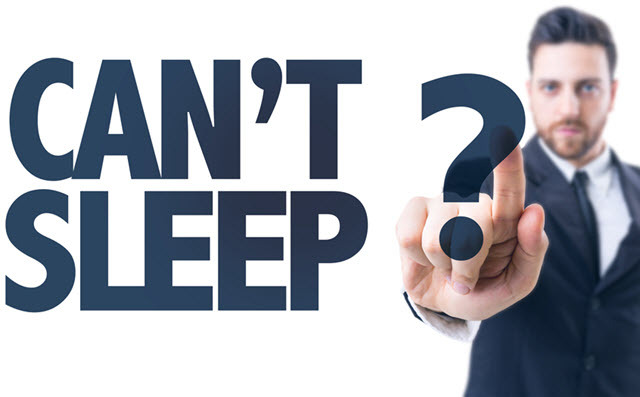 Do you have a problem going to sleep at night? Do you wake in the middle of the night? If so, do you have difficulty going back to sleep? Do you wake early in the morning unable to go back to sleep? Do you eat or drink anything within 2 hours of bedtime? If so, what? During the week what is your normal bedtime? Waking time? On the weekend what is your normal bedtime? Waking time? How many alcoholic beverages do you consume a week? How many hours of exercise do you get a week? Are you being treated for any type of medical condition right now? Do you take medication(s) for it? Does anyone in your family suffer from a sleep disorder that you know of? Do you snore? Has anyone ever told you that you snore? Do you wake up to an alarm in the mornings? **Should you feel you have a sleep disturbance problem, please see your doctor.